Finding the right people for research projects can be a complicated process. Jhanne Litson explains how Flamingo is approaching it. At its worst, recruitment for market research can feel like dating in the pre-internet age; lots of fishing in the same murky pools, armed with endless lists of requirements, and ultimately resulting in forced, fruitless conversations. But dating has – thankfully – moved on. (Almost) gone are the days of pre-defining our significant others via tick boxes of desirable hobbies and character traits. Now we meet potential partners via apps that present us with a wider pool of dating options, often only using information like location or whether we have friends in common. This can mean wading through some totally unsuitable matches, but it can also avoid missing out on a potentially perfect match because they were half an inch too short, or they listed the Star Wars films in the wrong order of preference. 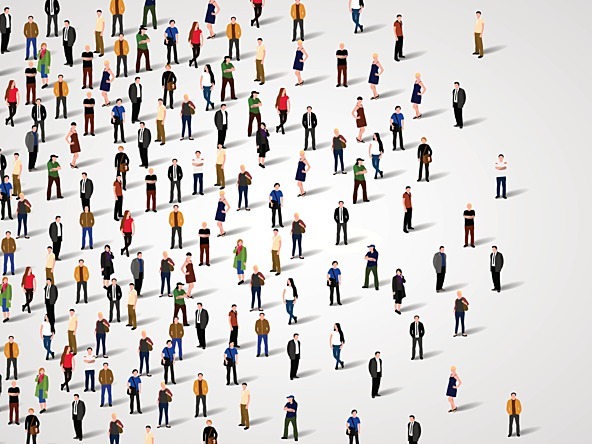 So why does so much market research recruitment still rely on screeners and databases, limiting the sample of people we recruit to one chosen from a pool of self-selecting candidates, matching against a list of prescriptive criteria? Why not use a more organic recruitment process, tapping into real networks of people, identified based on a deep understanding of what clients are trying to understand? Flamingo’s casting team does just that and we believe it leads to much richer insights for our clients. The casting team helps brands to connect with real people. They find influencers, hard-to-reach and leading-edge consumers, niche behaviours, cultural commentators, taste-makers and experts. The way they do this varies from project to project but will always be underpinned by the client’s objectives. The casting team works in collaboration with our project teams so that the profile search is targeted to focus on objectives, not just fill quotas. This typically relies on an initial phase of extensive desk research to ensure a broad and thorough perspective on the types of people that could provide the most value within a project. This also means that the team has a good understanding of the area before trying to find those that will be able to speak knowledgeably on it. When a project involves finding groups of people, rather than individual experts, the casting team relies on its relationships with ‘connectors’ around the world. A key example of this is our work with a global sportswear brand, for whom the team is regularly asked to find advanced-level athletes within the context of a sport- or style-based project. A connector here might be the organiser of a leading running collective who can connect us with experienced athletes. We also work in the beauty and wellbeing space – here the casting team has used beauty bloggers that can connect us with their readers. The team work in partnership with connectors, often on multiple projects, meaning that they not only find the best people for the research, but that they can help with correspondence and local logistics. By speaking to those at the forefront of culture, or at the centre of a subculture, we gain a cutting-edge perspective. Another key point of difference with the casting approach is that it encourages us to think more broadly about recruitment, through tapping into collectives and groups of people in an authentic, inclusive way. The team not only identify recruits that best meet the requirements of each project but find and represent people that might not normally be involved in research. This inclusive thinking has already been absorbed into many companies’ approaches to hiring staff. Increasing numbers of HR departments (including Flamingo’s) are aware of the value of seeing people, not qualifications, and are introducing blind recruitment methods that focus more on outlook, values and ideas than on qualifications. Recruitment for research is just as valuable – to us and to our clients – so we apply the same thinking.